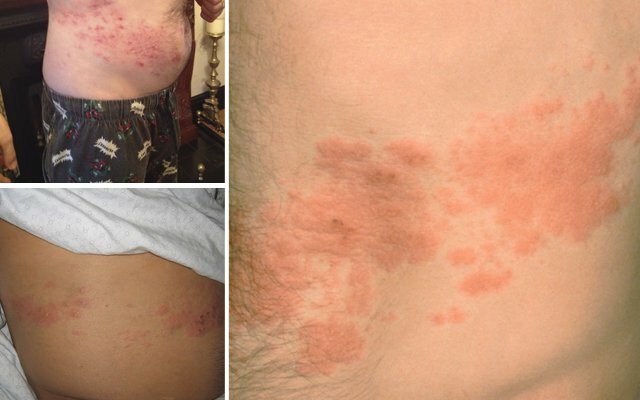 The disease is caused by Herpes virus, but the first infection rash almost never appear on the stomach. Most often, the virus goes into a latent state and occurs itself in the form of tinea already when reactivating the infection has started. After the infection, the virus remains forever in the spinal nerve nodes. If it is a lumbar group of nerves-then rashes are deployed on the abdomen, sometimes in the omphalus. Weakness of the immune system because of infections. They inhibit the body and reduce its protective functions. At first there is itching and tingling, sometimes there are pain, body temperature rises. For children these symptoms are not as apparent as for adults. After a few days, redness and rashes appear on the skin – bumps (papules) and bubbles with liquid (vesicles). When opening the bubbles, painful ulcers are formed, which heal with the formation of a scab. The size of the affected areas varies from a few millimeters to ten centimeters or more. Rashes are grouped and arranged close to each other, usually the rash lasts from seven to fourteen days. The disease is contact transmitted! Disease carriers are people with a rash on a bubble stage. Despite the apparent evidence of symptoms, only a dermatologist can make an accurate diagnosis and prescribe effective treatment. Diagnosis is based on the results of an anamnesis and inspection of the affected areas. In some cases there is the necessity of having samples taken of the bubbles and their contents. immunomodulators-to strengthen the immune system. 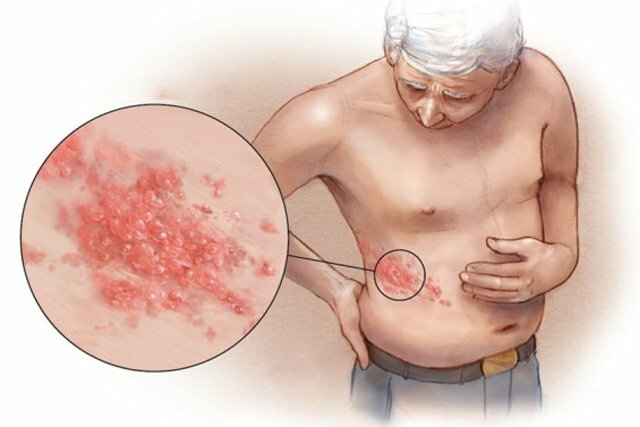 The patient should immediately begin the treatment of shingles on stomach, not later than on the third day from the onset of the illness. In the case of frequent outbreaks of the disease the suppressive therapy may be prescribed, lasting about six months.